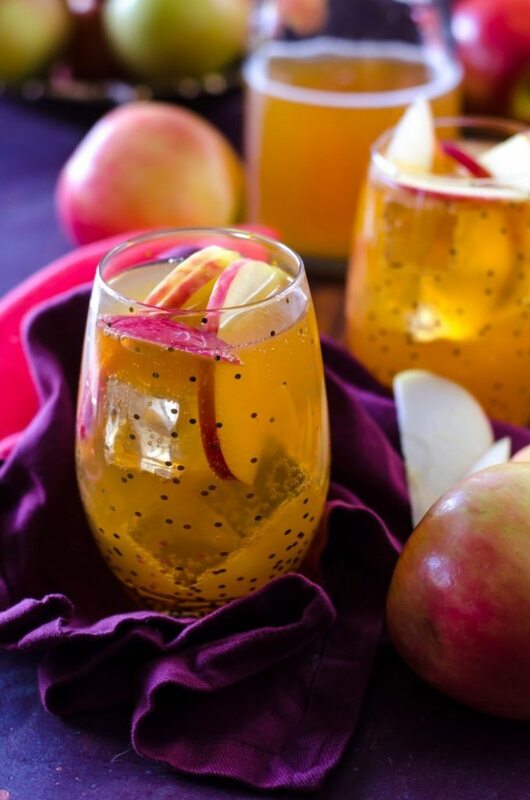 This Sparkling Double Apple Cider Fireball Sangria is the perfect fall cocktail to enjoy this whole season! It’s the perfect quartet of flavors! Without fail, every summer and fall my Fireball Sangria post starts getting a lot of traction all over again. Aren’t these glasses adorable? Mikasa Gold Dot Stemless Glasses, found here. My love for sangria is well documented, and I really fell in love with the addition of Fireball to it. While I’m not a whiskey fan, the cinnamon flavor of Fireball works so well with the wine, which may be surprising to a lot of people. You just have to try it. Trust me. 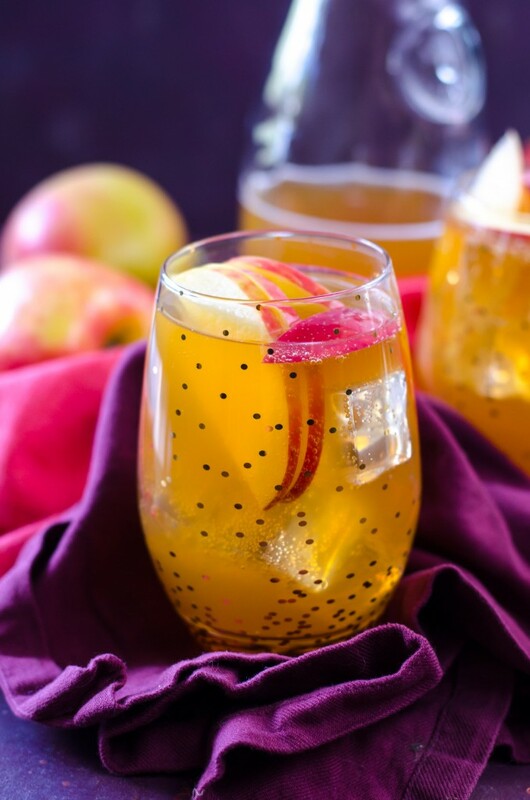 Since I kept noticing that people land on my Fireball Sangria while also looking for Apple Cider Fireball Sangria, I thought maybe I would come up with another version. 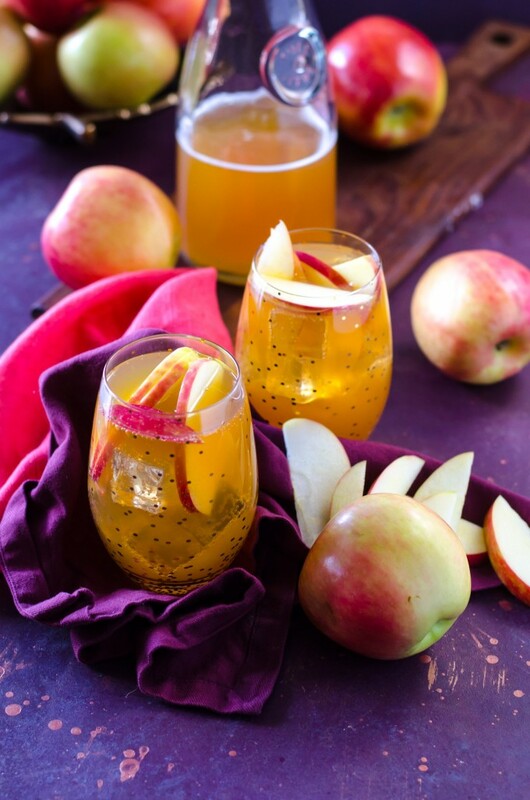 After all, no beverage screams “fall” more than apple cider! I had a girlfriend over to taste test with me, and we both fell in love at first sip. The apple flavor abounds in this, and even though there’s a decent amount of cinnamon whisky in it, you never feel like it’s too much. Fair warning, as with all my cocktails, this one can sneak up on you! The sweetness from the two different siders really masks the three sources of alcohol in this. And yes, I did say two kinds of apple cider- to really ramp up the apple in this, I use regular apple cider and then a bottle of hard cider. The addition of a bottle of champagne or prosecco keeps things nice and fizzy. And as long as we are talking about booze, let’s talk about the coolest way to get it. I literally would never leave my house if I didn’t have to (well, except for Target. I can’t give up Target). Enter Drizly If you live in one of Drizly’s market areas, you never have to step foot in a liquor store again- put in your zip code, browse the selection available and BAM! Its at your door in an hour. No mark up either! My friends that live downtown rave about it. Disclaimer: Drizly provided compensation for me to purchase materials for this post. My opinions of their service are my own. Mikasa Gold Dot Stemless Glasses, found here. Pitcher – This Pitcher is perfect for mixing all your ingredients together! 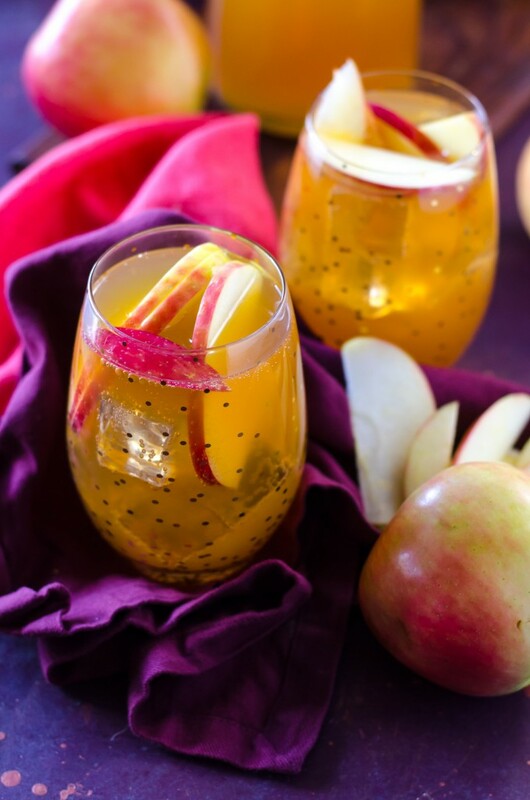 Glasses – These Stemless Wine Glasses are perfect for serving your cocktails! 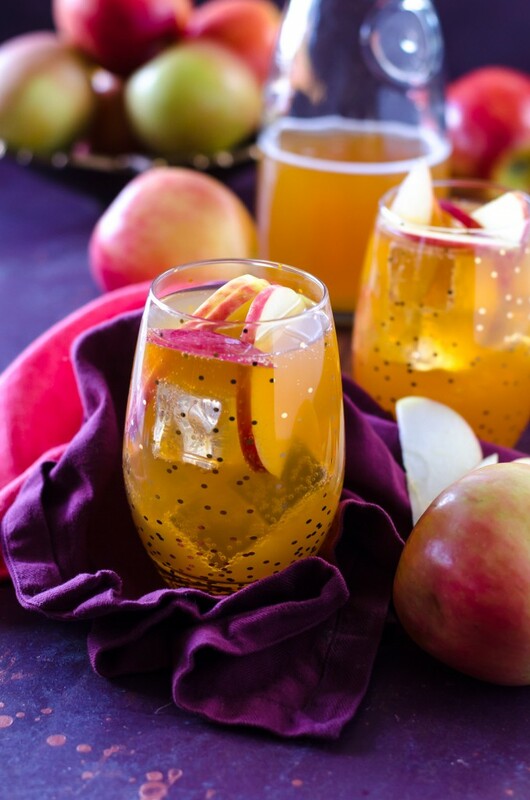 Serve over ice, with apple slices if desired.